"The time is short. You die at dawn." This Goya print may have been the inspiration for Boris Karloff's look in the 1931 Frankenstein film. An intense, painful feeling of repugnance and fear. See Synonyms at fear. Informal. Something unpleasant, ugly, or disagreeable: That hat is a horror. Horror can be thought of as the feeling of dread and anticipation that occurs before something frightening is seen or otherwise experienced (terror is the feeling that follows after the experience has occurred). Where are the roots of the horror genre? A horror film is a film dominated by elements of horror. This film genre incorporates a number of sub-genres and repeated themes, such as slasher themes, vampire themes, zombie themes, demonic possession, alien mind control, evil children, cannibalism, werewolves, animals attacking humans, haunted houses, etc. The horror film genre is often associated with low budgets and exploitation, but major studios and well-respected directors have made intermittent forays into the genre. Some horror films exhibit a substantial amount of cross-over with other genres, particularly science fiction. The arts of the grotesque are so various as to resist definition. Here we have the plenitude of the imagination itself. From the Anglo-Saxon saga of Grendel's monster-mother, in Beowulf, to impish-ugly gargoyles carved on cathedral walls; from terrifyingly matter-of-fact scenes of carnage in the Iliad, to the hallucinatory vividness of the "remarkable piece of apparatus" of Franz Kafka's In the Penal Colony; from the comic-nightmare images of Hieronymous Bosch to the strategic artfulness of twentieth-century film�Werner Herzog's 1979 remake of the 1922 classic of the German silent screen, F. W. Murnau's Nosferatu the Vampyr, to give but one example. The "grotesque" is a sensibility that accommodates the genius of Goya and the kitsch-Surrealism of Dali; the crude visceral power of H. P. Lovecraft and the baroque elegance of Isak Dinesen; the fatalistic simplicity of Grimm's fairy tales and the complexity of vision of which, for instance, William Faulkner's A Rose for Emily is a supreme example�the grotesque image as historical commentary. --Joyce Carol Oates, April 1993, originally published in Haunted: Tales of the Grotesque, Copyright � 1994 by The Ontario Review, Inc.
Why Does Horror Appeal to Us? How can we be genuinely frightened of vampires, though we know they don't exist? How is it that people find pleasure in being scared out of their wits? Carroll presents the first philosophical and aesthetic analysis of the horror genre. This book should be of interest to advanced students in philosophy, media and cultural studies and literary criticism. Noel Carroll, film scholar and philosopher, offers the first serious look at the aesthetics of horror. 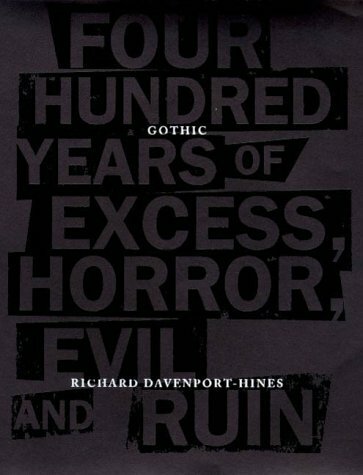 In this book he discusses the nature and narrative structures of the genre, dealing with horror as a "transmedia" phenomenon. A fan and serious student of the horror genre, Carroll brings to bear his comprehensive knowledge of obscure and forgotten works, as well as of the horror masterpieces. Working from a philosophical perspective, he tries to account for how people can find pleasure in having their wits scared out of them. What, after all, are those "paradoxes of the heart" that make us want to be horrified?